Goddesses, Monsters, and Monstrous Goddesses : the portrayal of Kālī in the Devī Māhātmya / by Kendra Darynne Brougham Marks. - Calgary, Alberta, 2011. - vii, 176 S.
Christianity contrasted with Hindū philosophy : an essay in five books, Sanskrit and English with practical suggestions tendered to the missionary among the Hindūs / by James R. Ballantyne. - London : Madden, 1859. - viii, xxxvii, 236 S.
Supplement to a Classical Dictionary of India : illustrative of the mythology, philosophy, literature, antiquities, arts, manners, customs &c. of the Hindus / by John Garrett. - Madras : Higginbotham, 1873. 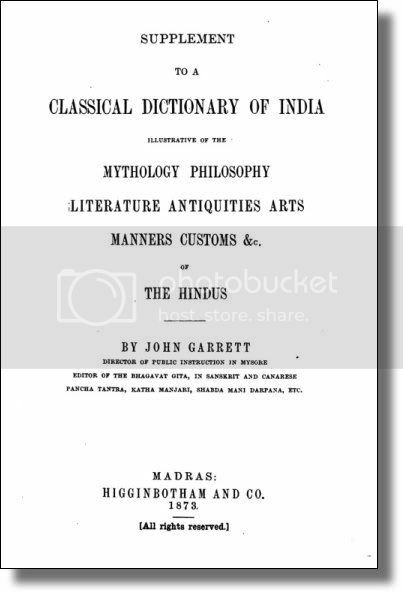 - 160 S.
Classical dictionary of India : illustrative of the mythology, philosophy, literature, antiquities, arts, manners, customs &c. of the Hindus / by John Garrett. - Madras : Higginbotham, 1871. 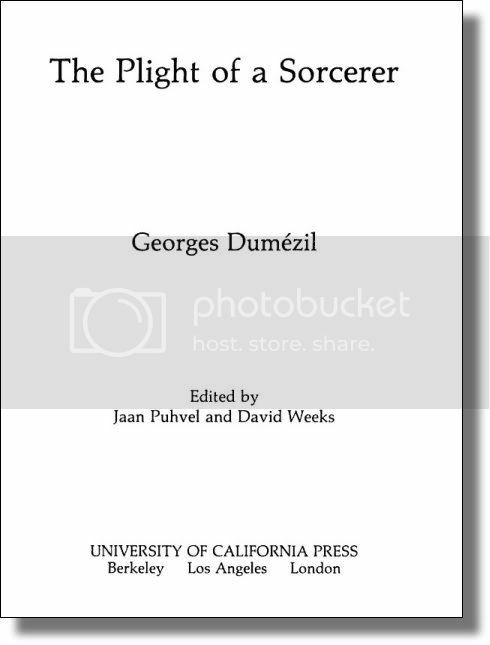 - x, 793 S.
The Bhagavat-geeta : or, Dialogues of Krishna and Arjoon, in eighteen lectures ; Sanscrit, Canarese, and English, in parallel columns / the Sanscrit text from Schlegel's edition ; the Canarese newly translated ... ; the English translation by Charles Wilkins, with his preface and notes, etc., and the introduction by ... Warren Hastings ; with an appendix containing additional notes from Wilson ... Milman etc. ; ... Essay ... by William von Humboldt, transl. from the German G. H. Weigle ; the second ed. of Schlegel's Latin version of the Geeta, with the Sanscrit text revised by Prof. Lassen. Ed. by ... J. Garrett. - Bangalore : At the Wesleyan Mission Press, 1849. -  Bl., xvi, 147 S.,  Bl., 29, lvi S.
La tradition indienne du déluge dans sa forme la plus ancienne / par Félix Nève. - Paris : Duprat, 1851. - 69 S.
Die Bhagavad-Gita / uebers. und erläutert von F. Lorinser. - Breslau : Aderholz, 1869. - XXXVI, 289 S.